Create an HTML5 animated brochure, paper costless and environment protection. Why PUB HTML5 Brochures Builder? As the arrival of the era of paperless, people’s reading way is changed. Instead of traditional paper book, now most people prefer to read ebook on their PC, Mac, iPad and mobile phone. As long as the local network coverage, people can free to read digital books of interest, no matter what place, such as office/mall restaurant/family housing. If you are a publisher, if you want to reduce the cost of print and supports environment protection, you can consider making digital book, instead of printing brochure. To making digital brochure, you still need to prepare the imported PDF file. But you donot need to print, just use PUB HTML5 Brochures Builder to convert PDF into sliding digital brochure, for mobile phone and computer reading. The whole conversion process is independent and effective, without need to use any other software. How can I make digital brochure with PUB HTML5? I have no idea about flash or coding. Don’t worry. Apply PUB HTML5 to make your book and then you will find it is nothing. Your brochure or catalog has been converted to PDF format. Now it’s time to think about distribution. Print 3200 copies on glossy paper and hand them out to people in a Mall. How many of them throw this piece of marketing art in the first trash bin they come across? Obviously, you can’t expect a 100% client conversion rate, but each copy in the trash is $5 of your money thrown away – your printing and distribution costs. So you do not need any special programming skills to create a digital brochure from your PDF or other printable document using all the advantages of PUB HTML5 Brochures Builder software. You can embed your e-brochure in your web site and renew it with one click, or publish the brochure to CD/DVD for Windows and Mac users. Click import file button to browse and open your PDF,choose the imported page range, page quality and size as you need,click import now button. With PUB HTML5, you can convert PDF to animated page-turning flipping book; Create HTML5 flipbook to view on iPhone, iPad and Android devices. Add template, scene, logo, Google Analytics ID etc. 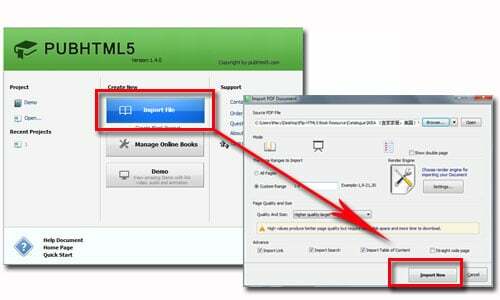 to flipping books; Convert to local html, zip, app flipbook for offline reading; Upload html flipbook to own website easily or embed to webpage, blog; Publish flipbook directly with the flipbook creator’s hosting service. Type your account to login, if you are free users, we suggested that you should subscribe premium version, because premium users can use more templates and edit page with video, link, button and so on. Then choose template and theme, if you want to use different theme, you can open custom settings panel to create a unique one. With PUB HTML5, you can edit colors, change buttons and language, customize background images and sounds. Hide the toolbars or set to expose them when needed. Change opacity and color of the toolbars. 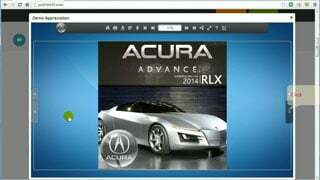 Remove useless buttons; Add sound, movie, animation and links to your pages. Click upload online button to publish your designed brochure,define book title, description and keywords for Google SEO,click publish to get the book URL. 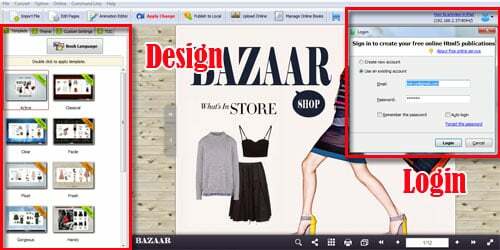 Once done, you can open the book URL to browse brochure in any device and Browser.